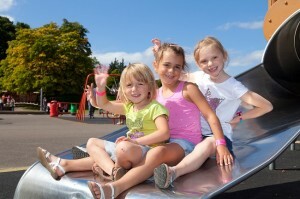 They include the Wicky’s Play Factory indoor interactive play area, a thrilling new drop slide, a walk-through aviary, a sand and water play area and new lakeside features made out of natural materials to encourage children to climb and explore. 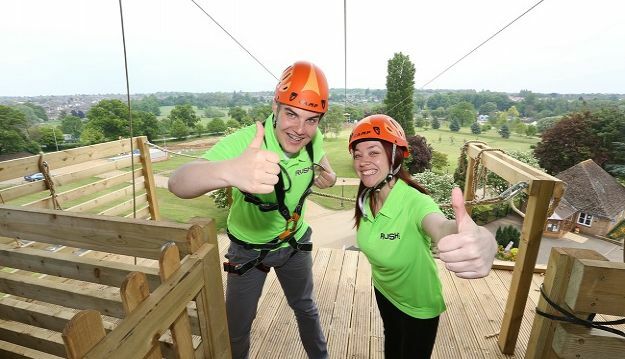 The park has also just launched one of the UK’s tallest and longest zip wires – RUSH. RUSH has a top speed of 40mph, is as high as a six-storey building and 310metres long and comprises three zip wires to allow families and friends to take the plunge together. You can also make your own bear to take home at the newly-opened Wicky’s Bear Essentials workshop. 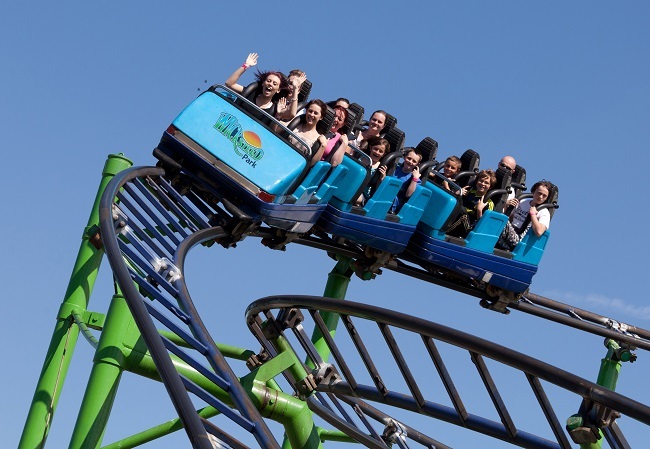 Wicksteed Park, near Kettering, combines 147 acres of beautiful parkland with attractions such as rollercoasters and rides to ensure a great day out or leisure break for the whole family, no matter what their budget. Founded by Charles Wicksteed, the inventor of modern day play equipment such as the slide and the swing, the park was part of his vision to inspire and encourage play as part of families’ health and well-being. The lake was one of the park’s major attractions when it was formerly opened in 1921. The lake project, which began last winter, was largely funded by the Wicksteed Charitable Trust, which owns and operates the park, with the help of just over £1million (£1,046,900) from the Heritage Lottery Fund (HLF) and donations from Northamptonshire County Council and Kettering Borough Council. The project has included the creation of a children’s lakeside paddling area and a shingle beach. New rowing boats have been launched on the lake and a redundant roundhouse, a 1924 lakeside shelter, has been repaired, bringing it back into use as a focus for lakeside activities. New all-weather lakeside paths also allow full access around the lake circumference for everyone for the first time in the park’s history.